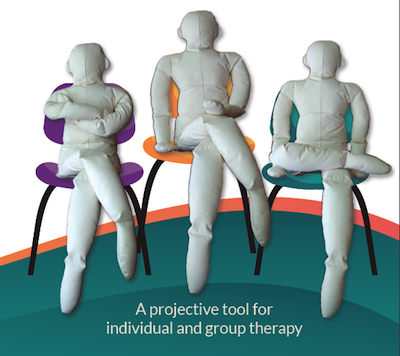 The Thera-Tool Figure is a 5 foot tall canvas, hand-sewn doll designed for working with adults individually or in groups. This tool enables clients to externalize a particular person and the messages and behaviors that the person represents. By speaking their truth, role-playing, or through aggression release work — clients have an opportunity to “take their power back” in ways far beyond what talking to an empty chair can provide. 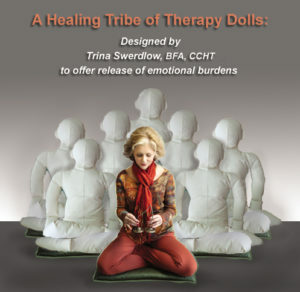 The purpose of the Thera-Tool Figure is to promote free expression of your client’s innermost thoughts and feelings while in a safe, therapeutic container. that offer a variety of ways to do creative counseling with your ADOLESCENT and ADULT clients. The Thera-Tool Figure can also be used for imaginative play therapy with CHILDREN. comes complete with the 28-page booklet. By Ron Luyet, M.A., M.F.C.C. 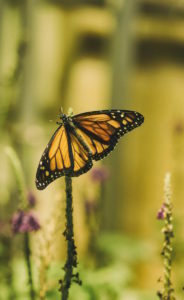 “The aim of therapy is to create a climate in which individuals can come to know their own personal truth, realize that they can make choices, open to deeper levels of awareness and cultivate an attitude of kindness toward their own inner work. A key element in these explorations is the uncovering and working through of “old” and “distorted” beliefs adopted unconsciously in childhood. I have found the Thera-Tool™ Figure to be an excellent aid in helping clients explore this territory. The therapy process can become more engaging when a material tool is brought into the work. It often loosens the emotional energy in the room. Most clients have developed expectations of how they are going to explore their issues and consequently remain overly safe by staying in their heads and chairs. 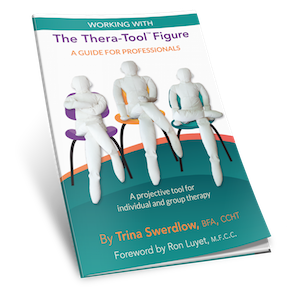 The Thera-Tool Figure allows a client to externalize a particular person and the old messages that person represents. It sets up a more immediate and ALIVE dynamic that makes current issues or problems become “real” in the moment. This allows the old frozen feelings to emerge more easily and often more dramatically. For example, there is a big difference between talking about Mom or Dad and the experience of talking directly to Mom or Dad, right now in the room—in this moment. The physical embodiment (the Thera-Tool Figure) of the parent or any other character in one’s personal history enables the client to focus more directly on the painful scene or event. 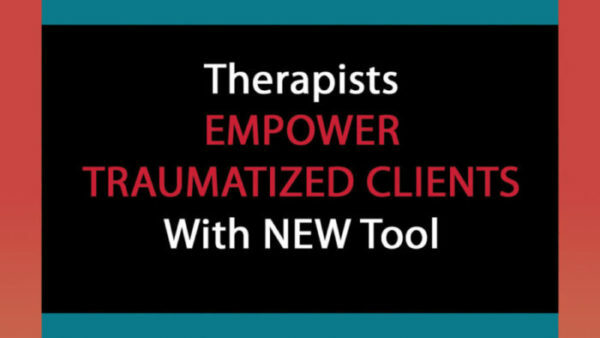 After learning to use the Thera-Tool Figure, the client is able to enter into a very focused psychodrama with it. In this process the tool supports the client in working through his or her issues at a deeper level. At this point, the client is no longer watching a movie. He or she has become an active participant. I have also found the Thera-Tool Figure useful in making new, positive aspects of one’s identity more real. 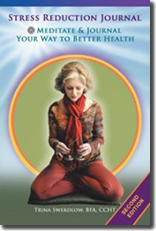 For example, when the client is asked to dialogue with an inner guide, protector or Higher Self, having the Thera-Tool Figure represent that image can add a dimension of realism that is difficult to attain in any other way. And finally, I have used the Thera-Tool Figure as a representation of wounded parts of the self. Again it is much more engaging and compelling to comfort an “inner child” that you can touch or hold in your arms. The ability to feel the physical presence of these inner aspects adds a new depth and credibility to the therapeutic experience.